← Did Lord Byron ever drink at the Bell? An ornate, eye-catching building still stands on Upper Parliament Street in Nottingham as a reminder of prosperous times when there was more than one local newspaper. 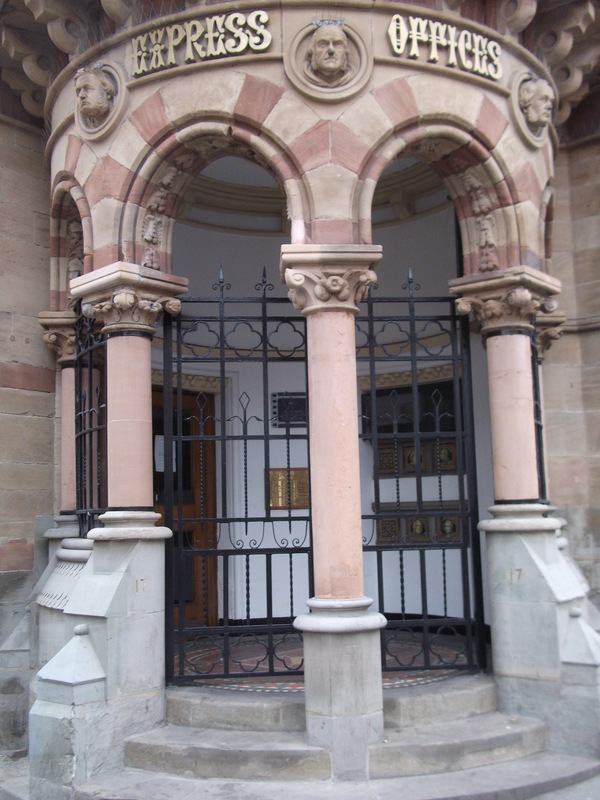 Beneath a Gothic-inspired circular tower, a colonnaded entrance leads into what were once the offices of the Nottingham Daily Express at numbers 17 – 21 Upper Parliament Street . The elaborate building is the earliest surviving example of a major work by Mansfield-born architect Fothergill Watson. It was constructed in 1876 for the Nottingham Daily Express, a newspaper published in the city between 1860 and 1918. The entrance is decorated with the carved heads of Liberal politicians to reflect the political stance of the newspaper. There are more politicians immortalised on the decorative tiles inside the entrance, along with images of Queen Victoria and Prince Albert . The novelist Graham Greene worked in the building as an apprentice sub-editor in 1926 after the newspaper had been renamed the Nottingham Journal. 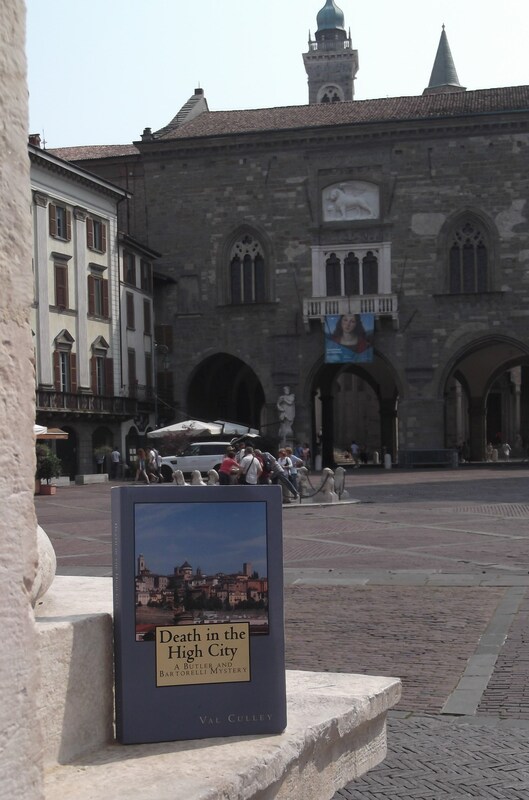 He moved on to work for The Times newspaper before launching his career as a novelist. 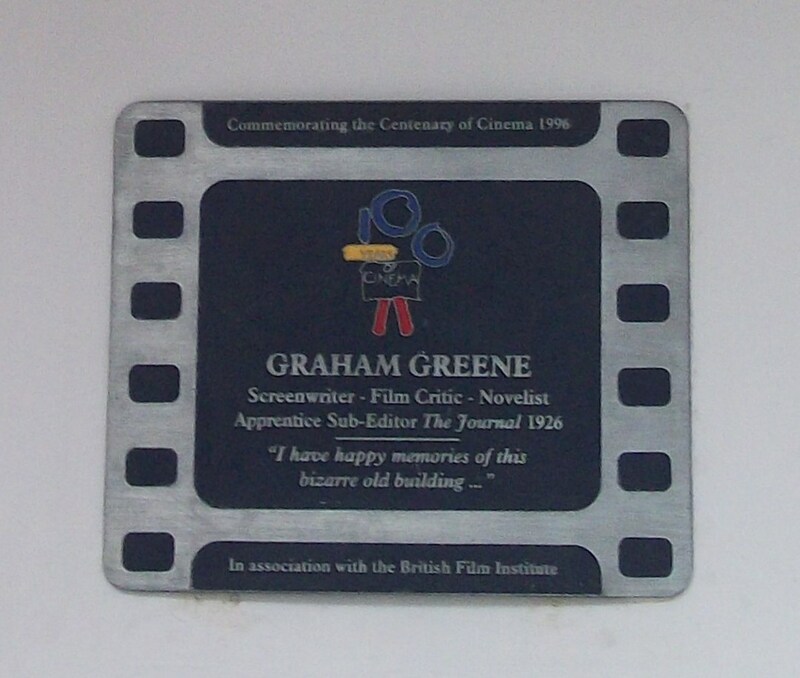 A plaque in the entrance lobby put up in 1996 in association with the British Film Institute commemorates Greene’s brief spell on the Nottingham Journal. In 1953 the Nottingham Journal merged with the Nottingham Guardian to form the Guardian Journal. The Nottingham Post, formerly the Nottingham Evening Post, had been launched in 1878. In 1963, its rival, the Nottingham Evening News was closed and merged with the Post. The Guardian Journal was closed by the Post in 1973. The Post used to be based in an imposing building in Forman Street, just behind Upper Parliament Street . The staff were relocated in 1998 to Castle Wharf and the building was demolished to make way for the Corner House development. The newspaper now has offices on the third floor of a modern office building in Tollhouse Hill in Nottingham , while Fothergill Watson’s architectural masterpiece in Upper Parliament Street currently stands empty. This entry was posted in Architecture, Nottingham Daily Express. Bookmark the permalink.